I figure it’s about time for a proper introduction. My name is James, and I’m a Mechanical Engineering student located in Tampa. As with many introductions, I think I should start with a little bit of history. In 1989, my dad was on the look-out for a clean E30. 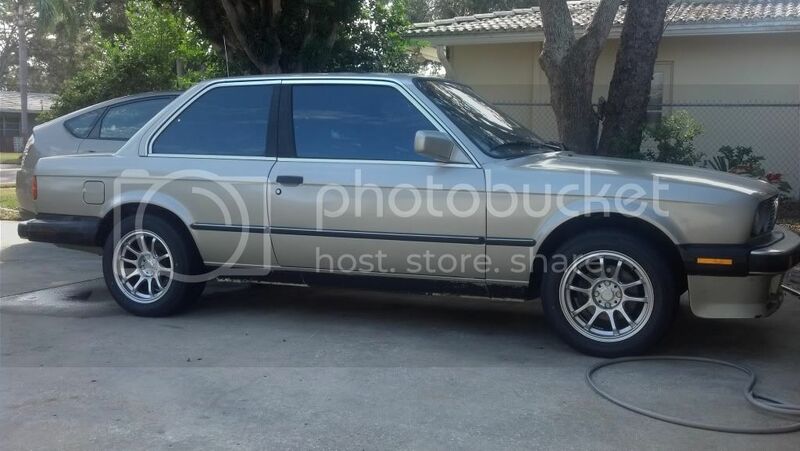 He had previously owned E30s and E21s and decided it was time to find a new, clean example. 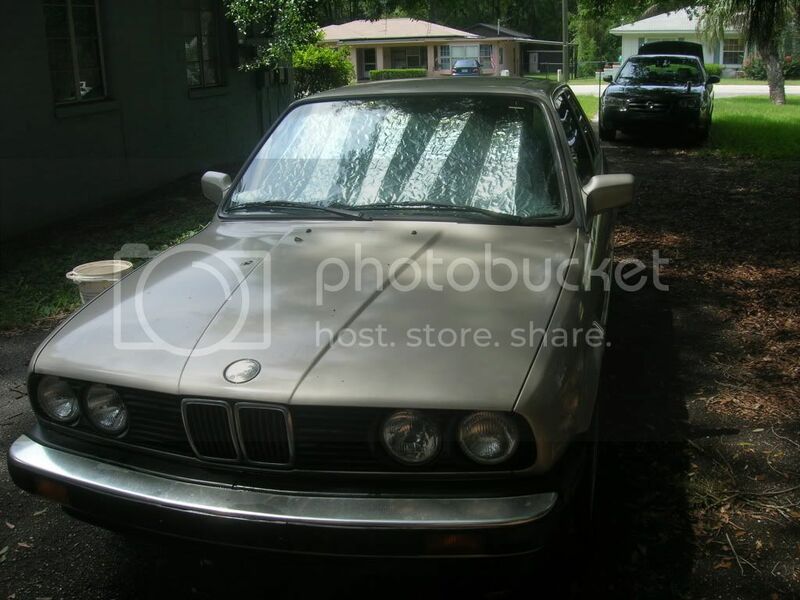 He was able to locate a 1987 325iS, and it was just what he was looking for. He gently drove and diligently maintained the car until 2005. He had managed to get his hands on an E30 M3 around that time, and began switching between the cars until finally parking the 325iS. Two years later (2008), I was hungering for my first car. As with many new drivers, the receiving of my driver’s license had sparked off my automotive obsession. Assuming I was going to end up driving the 325iS, I began my research. 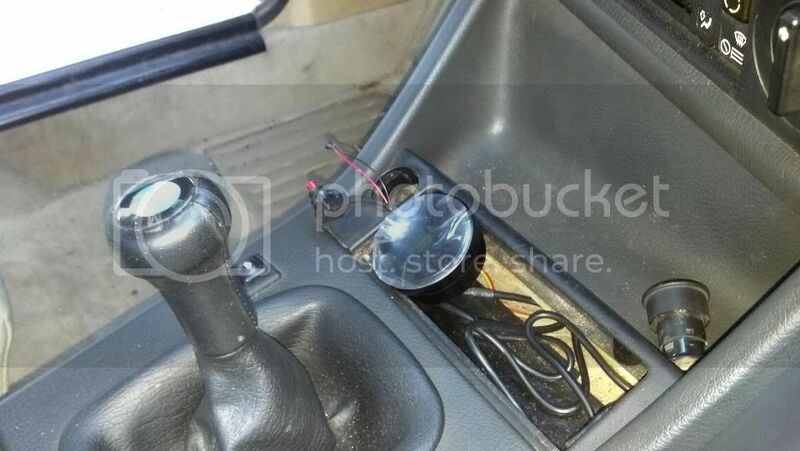 I quickly learned about the general sets of modifications typically made by E30 enthusiasts. Like many teenage boys looking to modify their new (to them) sets of wheels, turbocharging piqued my interest. I attempted to learn as much as I could and became confident in my knowledge of the tried-and-true setups that would help guide me on my way to the greatness that is forced induction. 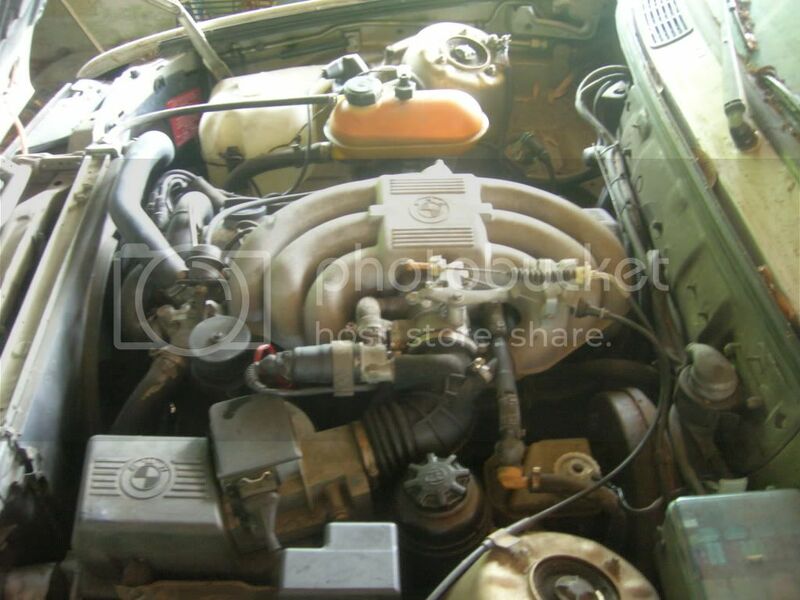 For better or worse – I probably would have ruined the car in my efforts or crashed it, had I actually managed to assemble a boosted E30 – I ended up driving a different car for my first few years. It wasn’t until2011 that I was able to finally get my hands on the 325iS, and that’s where this story really begins. 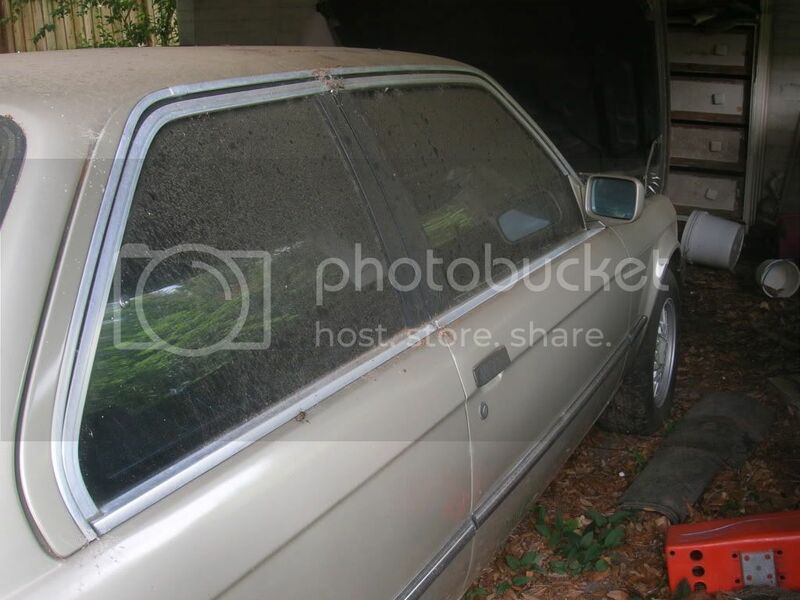 The 325iS had been sitting for some time, and its Bronzitbeige glory was somewhat faded. Since it was going to be back in our immediate hand and for lack of a better use, my dad and I began planning to refresh and modify the car for light, but dedicated autocross duty. He had visions of restoring its fun, nimble character through basic suspension modifications, while I quietly kept dreams of screaming exhausts and raging turbochargers alive. 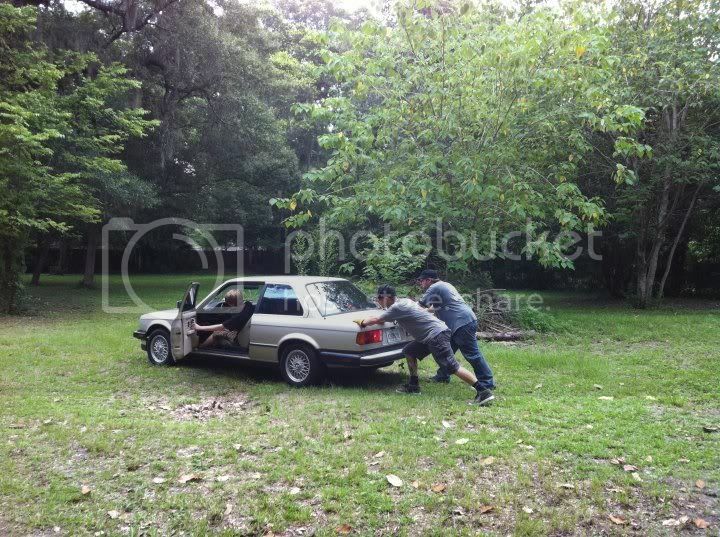 We moved the car to our home in July of 2011. Family matters and school kept me from making any real progress for a few months. I did some general maintenance and replaced the rubber brake hoses. Brake caliper rebuild - because of the car’s newfound purpose, I wanted to be sure it could at least stop when I needed it to. The stock iS basketweave wheels were changed out for a set of 15x8 TR Motorsport C1s, which I wrapped in a set of 225/50/15 Falken Ziex 912s. The valve timing was adjusted and the fuel system was refreshed with two new pumps and a filter. Yet again, I was unable to spend much time on the car over the school semester. I also ended up needing to replace the in-tank fuel pump (again); old gas in the tank had caused a build-up of sediment that was clogging the car’s fuel system. Yet again, the sediment in the gas tank was causing major problems, leading to the failure of BOTH fuel pumps. Fed up, I replaced the gas tank, along with the pumps and filter (which were under warranty, thankfully). Almost a year after beginning the work, the car was back on the road. Later in the month, I installed an Innovate LC-1 wideband o2 sensor and AFR gauge to go along with my new (to me) whodwho PnP megasquirt setup. I cannot recommend whodwho enough. His support of his products and the E30 community in general is top-notch. He has yet to leave one of my questions unanswered. I also picked up a welder, which I have begun practicing with in preparation of the coming turbo build. My hectic work/school schedule keeps me from spending much time on the car. I’m doing my best to get the car tuned. I want to get it running strongly at atmospheric pressure before I start trying to cram air in. I also have a set of RSMs to install. Last edited by blasphemy101 on Wed Nov 21, 2012 5:46 pm, edited 1 time in total. About time we got a build thread form you! Haha just messing around. Very cool story behind the car, my dad had 2 E30's for a short period as I was growing up, and I'm pretty sure that played a factor in my owning one. Car looks pretty solid, but out of curiousity, if it's an '87 IS, why does it have the regular I lip? I probably have a better exhaust housing for that H1C. I believe the HX35 stuff fits on. I know I have a 14cm housing. Maybe a 12. LMK when you figure out the spongy brakes. I'm having an issue with my 1990 E30. I think it's the master or booster. Can't tell which though. Nice! looking forward to following this thread, seems like your off to a great start. I need to get in touch with whodwho about modding my ms3x to work with my stock harness, only heard good things about him. Thanks for all of the kind words, guys! M20_fever wrote: Nice! looking forward to following this thread, seems like your off to a great start. I need to get in touch with whodwho about modding my ms3x to work with my stock harness, only heard good things about him. Yup, he's a great guy to work with. He was 100% willing to provide support for the setup I bought used. Yoshi wrote: I probably have a better exhaust housing for that H1C. I believe the HX35 stuff fits on. I know I have a 14cm housing. Maybe a 12. Yeah, I know there are better housings out there. I wanted to be sure to get a real holset one. A majority of the 'big' (same/similar spec to the HX35) are 21 cm^2 housings. Only like 2 years of the cummins came with the 18cm^2 housing. The smaller H1C's have much smaller (like 9 cm^2 or something) housings, but their specs are also different. Since I couldn't find a compressor map for them, I wanted to be sure I got something that would match up relatively well with the motor, even if spool wouldn't be very good. A booster won't make the brakes soft; a failing booster = hard brakes. Failing master => sinking brake pedal after it's depressed or no pedal feel at all. Nsquared97 wrote: About time we got a build thread form you! Haha just messing around. Very cool story behind the car, my dad had 2 E30's for a short period as I was growing up, and I'm pretty sure that played a factor in my owning one. You're absolutely right about the mods thing. I believe I have most of the solutions worked out for the problems I listed. Since the motor is up and running strongly, I felt okay adding the megasquirt. The turbo build won't start for a bit; I need time to gather up parts for the right price and work on my welding. My brakes have to be pumped twice then it holds fine. Kind of annoying really. Yoshi wrote: My brakes have to be pumped twice then it holds fine. Kind of annoying really. Without a doubt, but H1Cs are 1/2 the cost of HX35s for practically the same specs (aside from having larger housings). I could buy a new housing and still be getting in $100 or so less than a comparable HX35, which I would probably still need to source a smaller housing for as well. Definitely sounds like air in the lines or a failing master. Failing master cylinders often leak fluid past their seals into the booster. Check to see if you're losing brake fluid from the reservoir. You can also pull the vac line off the booster to see if it is wet with fluid. If your MC fails this way, you'll probably be looking at replacing the booster down the road. Yea I'm just gonna replace both the master and the booster. There are two models of the H1C - one spec'd like the HX35 and another, 'baby' H1C. The big H1C (the one I ordered) was only given a 21 cm^2 or 18cm^2 housing. HX35s came with a larger variety of housings, but a majority of them are still too big for an M20B25. In either case, I would still likely have to source a smaller housing, so I went with the H1C because it would be cheaper, overall. On the brake issue, it could be a booster, but as I have found out, it can also be pads. The Hawk HPS I am running right now are absolute garbage, very little bite unless they are hot, and no brake feel at all. I just need to get in and work on my brakes. I'm lazy. Taking a break from cars. I definitely do...It's just a matter of budget concerns at the moment. just pay him in gum, that is valid currency in Yoshiland.